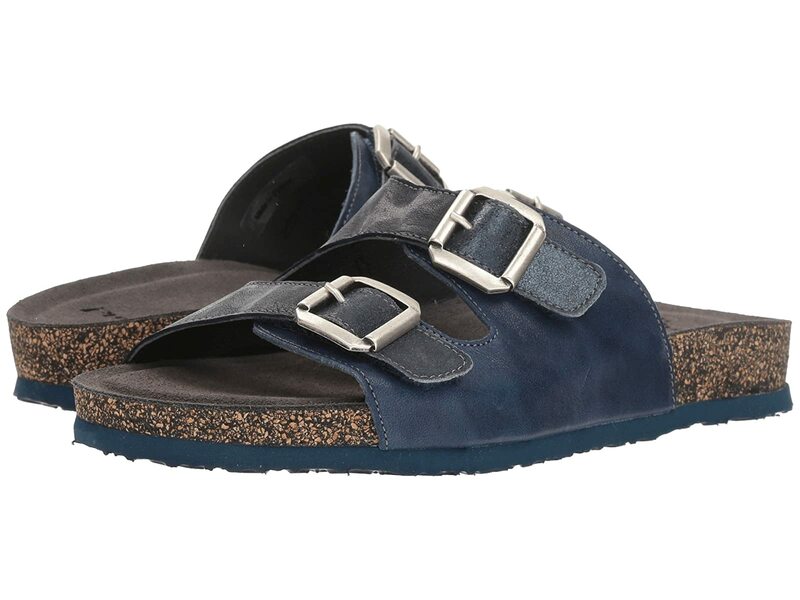 Your Think!® 82320 slides are the beautiful addition to your sunny day wardrobe. Easy slip-on wear with decorative buckles on top of hook-and-loop fasteners to adjust the width. Molded anatomical leather footbed cradles the foot. Cork-latex midsole provides underfoot comfort.